Italy is the quintessential holiday destination offering something for everyone, and does so with the unique style and panache that keeps the legend of La Dolce Vita alive. Good food and wine, slow-cooked regional specialities, abundant fresh local produce, fine wines and interesting liqueurs make Italy a gourmet heaven. Its renowned opera houses, unrivalled architectural heritage, millennia of archaeological riches and stunning galleries of renaissance art cannot fail to impress and fascinate anyone. If you prefer an active holiday, then Italy’s varied terrain provides plentiful opportunities for walking, hiking, climbing, swimming and scuba-diving. Or, if it’s the quiet life that attracts you, the glorious beaches, wonderful lakes and serene city squares make for unsurpassed locations from which to watch life drift languidly by for a week or so. The Italian landscape is divided into numerous regions by its rugged coastline, dramatic mountains, and the Mediterranean Sea itself. Each region maintains its own particular traditions and rhythms of life. Touring in Italy from north to south and east to west can feel as though you’ve travelled through an entire continent in miniature: no one place is like another, and all deserve to be explored at length and at leisure. 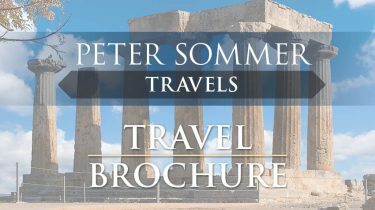 Peter Sommer Travels specialises in providing cultural tours to selected Italian regions in the company of expert guides. We visit the most impressive sites and museums, enjoy spectacular scenery and the most delicious local foods and wines, and ensure that you have plenty of time for personal reflection and relaxation. We offer a variety of trips that explore Italy, including our exceptional Exploring Rome and our Cruising the Amalfi Coast, as well an array of tours of Sicily. Join us for the ultimate small group tour of Italy.